Oppositional Defiant Disorder (ODD) is characterized by defiant and hostile behavior toward figures of authority. Learn about the disorder and how to get through it. Oppositional Defiant Disorder is a very stressful disorder that goes along with ADHD in many children. This is my story of my son and our journey with ODD. Life is full of surprises every day and we take one moment at a time to get through it. You are not alone in your journey. Oppositional Defiant Disorder is a disorder in children that is characterized by defiant and hostile behavior toward figures of authority. Most of the time that figure of authority is the parent. 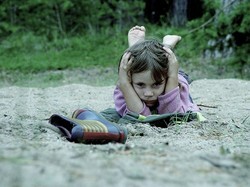 It is a very stressful disorder for both the child and the parent. Most children have moments of being defiant. The difference is that children with ODD are constantly defiant. They are constantly pushing their boundaries and going beyond boundaries. There is usually a co-existing disorder that accompanies the ODD. ADHD and Bipolar are two very common co-existing disorders that are seen in children with Oppositional Defiant Disorder. My son has ADHD, Bipolar, and ODD. He did not start to really exhibit symptoms of ODD until he was around the age of 8, but I knew early on that he was very head strong. He is now 12 and it has been a long hard road. Every day is a struggle in our home. A struggle to just keep order and keep him from melting down. We work on it every day and get through it. It is stressful and can overwhelm you if you let it. I will outline the symptoms of ODD and tell you what you can do as a parent to make things tolerable for your child and your family. There are a few symptoms to look for if you think your child may have Oppositional Defiant Disorder. Your child must exhibit these symptoms for a 6 month period or longer. Otherwise, it is just the normal defiance that we all see in our children from time to time. There is no known cause for ODD. Some believe that it is a combination of genetics and environment that causes it in children. Things like divorce, trauma, and abuse can trigger it in children. The children are angry and have a hard time dealing with it. They deal with it inappropriately. They may be angry because their parents divorced and are striking out against everyone. If your child is ADHD or Bipolar they are susceptible to developing ODD when these life events happen. Not guaranteed but possible. Treatment for Oppositional Defiant Disorder is not an easy one. There is no medication designed specifically for ODD. As I mentioned earlier, there is usually a co-existing disorder that goes along with ODD. Usually that disorder is what is treated. The medications for ADHD and Bipolar also help the symptoms of ODD. The best treatment for a child with ODD is behavioral therapy and positive parenting. Therapy can help your child sort out angry feelings. It can also help them to think about things differently so that they handle situations appropriately. Therapy for you as a parent is crucial. I have learned to deal with my ODD child appropriately by going to therapy. There are a few things I would suggest you do as a parent to help you and your child with ODD. Pick your battles with your child. You will soon learn that some things are just not worth the argument. For example, my son came into my office screaming at me because someone ate the last waffle. My first thought was to reprimand him for screaming at me over waffles. I have spent so much time arguing with him over him screaming about things that are not that big of a deal. What I have learned to do is to simply state that screaming is not the way to solve the problem of all the waffles being gone. In a calm voice. Then ask him if there is anything else that he might want to eat in place of the waffles? I avoided an argument with him and diverted his attention to what else he might want to eat. It doesn't always work but one thing is for sure. If I always jump on him for screaming then we always end up in a major argument with both of us screaming. This is a difficult one. An ODD child is not positive about much of anything. I can say that mine isn't. Responding to them in a positive way seems to help snap them out of their negative rant or negative mood. Praise them when they do positive things. They are constantly getting negative responses from teachers, siblings, and friends. They need to have someone being positive and praising them. Praising my child seems to inspire him to do better. Help yourself and stay mentally healthy. You have to stay healthy and mentally alert. You need to take time for yourself and do things that you enjoy. It is easy to get mentally drained by all of this if you don't take time for yourself. Exercise, write, go hiking, ride your bike, or just go have a girl's night out once a week. This has helped my son tremendously. I have seen a difference in his behavior since he started therapy. I would suggest this to any parent dealing with an ODD child. When they do wrong they need to be appropriately disciplined for it. My son loses his favorite toys if he does something I have told him not to do. Discipline for an ODD child should not be screaming and yelling or physical punishment. This is not going to help them. It just adds fuel to the fire. You have to follow through and be consistent with what you do. This is a very controversial thing. I am not here to tell you to medicate your child. The co-existing condition of ADHD or Bipolar should be treated. It is your choice to medicate or not and every situation is different. In my son's case it is necessary. Mainly due to the Bipolar. We have tried multiple times going without medication and it was a nightmare. Will My Child Always Have Oppositional Defiant Disorder? There are very few children who continue to be ODD into adulthood. There are some that do and it then becomes something called Conduct Disorder as a teenager and then Anti-Social Personality Disorder as an adult. Working with your child while they are a child can help them think differently about things and handle situations appropriately. This becomes habit if you continue to work with them on it. Staying positive and praising them as much as possible helps tremendously. Though it happens, the chances of your child growing into an adult with Anti-Social Personality Disorder is slim. Despite how difficult it will be you have to stay the course and be as positive as you can be. Setting boundaries and sticking to them is important. Follow through with consequences. I have good days and many many bad days. All it takes is one positive reaction from my son and it wipes away all the negative things that he has done that day. He only has to hug me or tell me he loves me to make it all worth it. Be positive and work to keep your child positive. Your child will get through this and so will you. Should You Medicate Your Child for ADHD? My suggestions on how to go through the thought process on medicating your child for ADHD. ADHD or Attention Deficit and Hyperactivity Disorder affects 3-5% of children globally. Hear what ADHD has to say about his influence on our children. Organization and Time Management are both skills that ADHD children need help with. As a mother of two ADHD children, I have a few tips to help. Thanks so much Katie.. It is very stressful to deal with this every day. I try so hard to be positive and get better results when I do. Please let her know that she is not alone and she can contact me if she would like to talk about it. It does help to talk to others who can relate. Hi loopy-lou33 - My son also has what they call Autism Spectrum Disorder or symptoms of Aspergers too. It is quite an adventure. His diagnosis is ADHD with symptoms of Bipolar, Aspergers, and ODD. I would love to be able to help other parents of children with these disorders in some way. If nothing else, to make them feel like they are not alone. Hang in there and please stay in touch! We have to stick together and learn from one another. Thank you frugalrvers - it is difficult to be positive with my son's behavior the way it is sometimes. He thinks life would be easier with his father instead of here where I make him do things that he doesn't like. I make him do things that are right for him and will make him grow into a respectable young man. I won't back down from that. Yes... I have to separate the behavior because I do not like it at all. But I love my son dearly and more than he will ever know. Thanks for reading and commenting! YoU are very welcome Kesken. I learn something new everyday when it comes to this and my son. It is quite an adventure. Thanks for stopping by. Thank you very much for sharing . I really learnt a lot from this. More and more parents of children with autism are beginning to use autism behavior information cards. The cards help bystanders understand why a child with autism has a meltdown.